If you follow me on Instagram, you may remember my post about this t-shirt. (...And me wishing it didn't cost all of $50, not including international shipping!) I came across it while browsing through another fabulous blogger's site, and I couldn't help but wish I had it in my hands -- or better yet, on my person -- at that very moment. 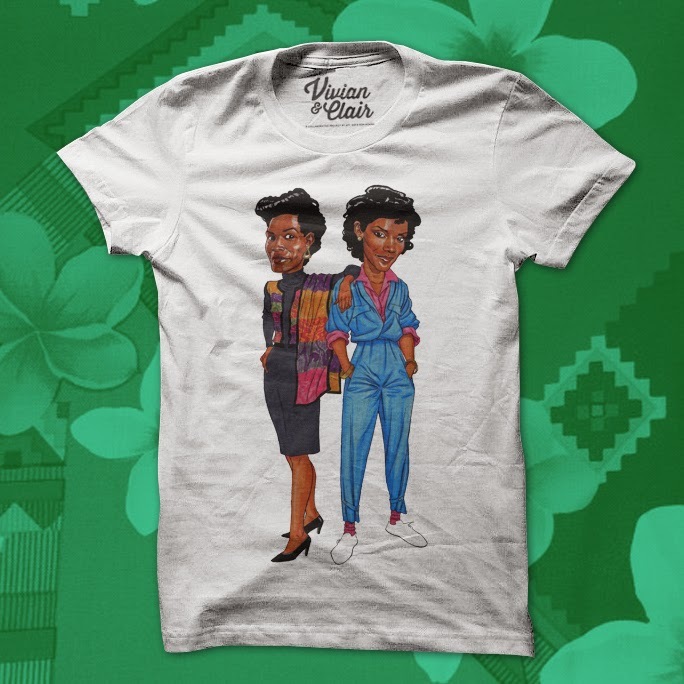 Not only because the shirt is A-MAZING, but because of the many great things the fictional characters, Clair Huxtable and Vivian Banks, represented during the '80s, '90s and even today. little black girls at the time. To this day, I still want to be Clair Huxtable. In addition to wanting to emulate her undeniable fashion sense, self-confidence, inside-and-out beauty and grace, I wanted the genuine relationship she and Cliff had. (I'm grateful to say, I think I'm pretty darn close thanks to my wonderful husband.) I was devastated when it dawned on me that Bill Cosby and Phylicia Rashad weren't really married in real life. Cliff and Clair's chemistry, love and preference for one another was, and still is, inspiring. Vivian Banks, an added bonus on this t-shirt, often gets overlooked. Perhaps it's because it was the "first" Vivian who captured our hearts and to whom true Fresh Prince of Bel-Air fans remain loyal. She, too, was a character of color to look up to. The episode I will always remember her for was the one in which she was given the short stint of being Will and Carlton's Black History teacher. She truly epitomized the meaning of a strong, educated black woman who did not tolerate ignorance and was determined to stay true to her roots but not allow the past struggles to dictate her future and that of the future generation. 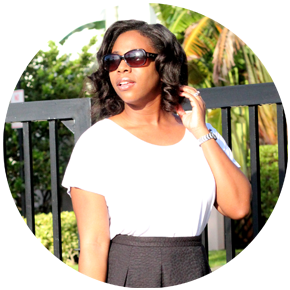 I know this post is a little different, but hey, that's the beauty of blogging, right? The freedom to switch things up! Plus, with mother's day coming up in a few weeks, I thought it fitting. So, let's discuss: Did Clair or Vivian influence you growing up? How so? Who are some of your other favorite and inspirational TV characters? P.S. - Sorry about the horrible images from Google! nice post, sometimes it's good to switch things up! But I agree with you These two women were women that I definitely looked up to when growing up! It showed me what a healthy marriage looked like since I lived in a one parent home. Claire was probably my favorite I loved how she was an educated career woman and always made sure her home was kept. she had a good balance. I want that same balance when I get to that point in life.